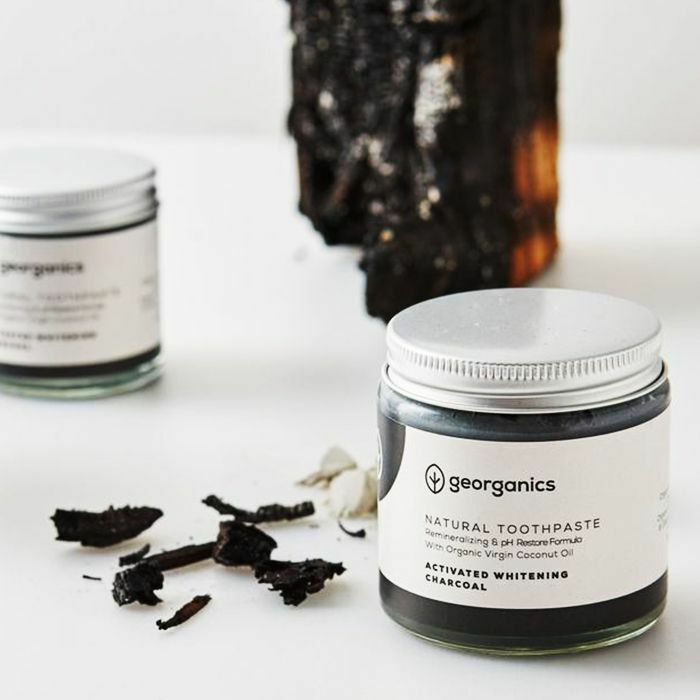 The popularity of charcoal as a means to zap impurities has rapidly increased in the past couple years, but the use of activated charcoal is long-standing. In fact, it's been used as a medical treatment for poisoning for the past 150 years. The use of charcoal now, however, has leaped from the emergency room to everyday items, and its presence is pervasive. There's charcoal in your water filter, there's charcoal in your face mask, there's even charcoal in your goji berry–and–chia seed kombucha. There's only one problem: When it comes to the ingredient's effectiveness in beauty and health products, the science gets spotty. Now the latest charcoal craze comes in the form of toothpaste. Charcoal toothpaste (along with charcoal toothbrushes) claim to be a natural way to whiten teeth—an alternative to whiteners that typically contain hydrogen peroxide as an active ingredient. A product like Active Wow's Activated Coconut Charcoal Powder ($25) is just one example of charcoal's booming popularity in the realm of dental hygiene. With more than 10,000 reviews on this product alone, it's currently ranked as a number one best seller in teeth whitening products on Amazon, a category that contains standard oral care like Colgate toothpaste (yes, of the good old-fashioned mint variety) and Crest Whitening Strips (which has 1800 reviews, if you're curious to see how the numbers stack up). Users rave about its fast—and dramatic—results, with reviews like this from one Amazon customer, "I have tried everything and this works! I have only used it four times and it has taken away all the yellowish color of my teeth." To get to the bottom of how effect charcoal toothpaste really is, we went to dentist to the stars Kevin B. Sands, DDS, to get a professional's perspective. Sands is skeptical of the treatment and warns users to be cautious: "Charcoal in powder or in toothpaste seems to be the latest trend for an at-home whitening. However, there are risks. Charcoal can be abrasive and erosive, which can lead to enamel being lost and to sensitivity or even yellowing of the teeth in the long run." Sands's bottom line is clear: "A professional whitening done by your dentist is the safest way to go and is guaranteed to get you pearly whites." If you do decide to try out charcoal toothpaste—or any other teeth-whitening product, for that matter—get your dentist's opinion first. Keep its use to no more than twice a week—this isn't the type of product to trade out your regular toothpaste for completely. Like any other teeth whitening product, tooth sensitivity and gum soreness can occur. If you feel any discomfort, pause use and only resume once the symptoms have subsided. Up next, explore your options with the five most popular ways to whiten teeth.